Manchester United manager, Jose Mourinho expects a difficult test against Arsenal in the Premier League on Wednesday. Mourinho suggested on Tuesday that his opponents may be fresher because they are playing in the Europa League. Arsenal climbed to fourth after an impressive 4-2 win over Tottenham Hotspur on Sunday. Mourinho was, however, quick to point out that the Gunners had been able to keep key players fresh for big games by rotating their squad in the Europa League. “Yes it’s different and a difficult match for us. We’re going to play a good team in a good moment without accumulation of matches because they’re playing Europa League,” Mourinho told a news conference. “When you play Europa League, you normally play with second choices and give good rest to the players. “We have to play to the max and there is an accumulation of matches. Then you arrive in this moment in December and many teams pay the price of that. 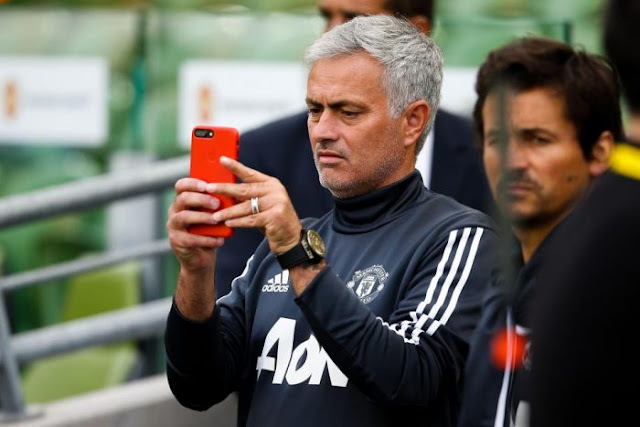 “That is not the motivation you want as a team but to develop player’s fresher is a good way to do it,” added Mourinho, whose side have been playing in the Champions League. “United should never be in seventh place… the investment Everton made was phenomenal and obviously there was a great improvement in that team from last season. “At the end of the season the top six will be done by the six teams we all know have that responsibility to finish in the top six,” Mourinho added.